Unfortunately the polyfill doesn't come with a browser bundle, so it's a bit tricky to use if you're not using a build process. The easiest way around this I've found is to link to the script on bundle.run and initializing it using cssScrollSnapPolyfill() once the DOM is loaded. It’s also worth pointing out that this polyfill only supports the element-based syntax, not the repeat-method. As with any property, it’s a good idea to get familiar with the values they accept. 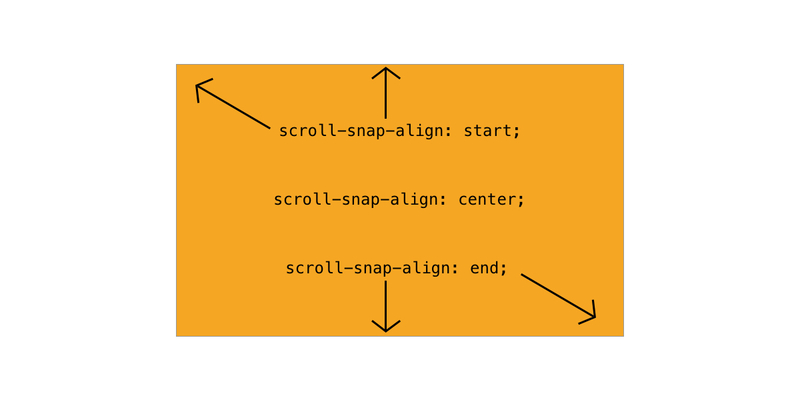 Scroll snap properties are applied to both parent and child elements, with specific values for each. Sort of the same way flexbox and grid do, where the parent becomes a "flex" or "grid" container. In this case, the parent becomes a snap container, if you will. See the Pen Scroll-snap-type "Mandatory" vs "Proximity" by Max Kohler (@maxakohler) on CodePen. 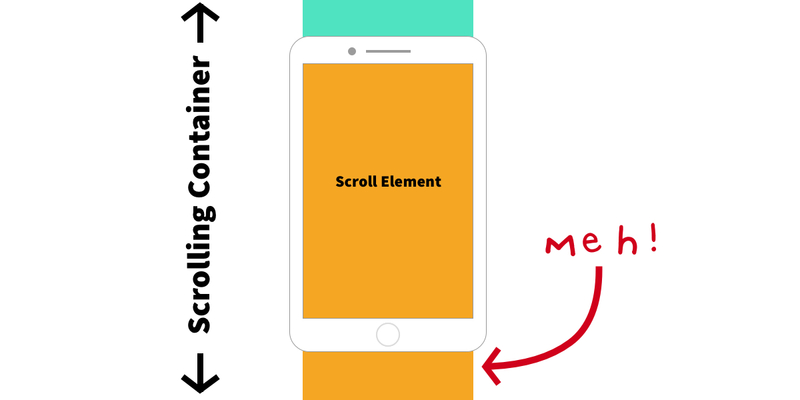 The great thing about CSS-based scroll snapping is that you're not taking direct control over the scroll position. Instead you're just giving the browser a list of positions to snap in a way that is appropriate to the platform, input method, and user preferences. This means a scrolling interface you build is going to feel just like the native interface (i.e using the same animations, etc.) on whatever platform it's viewed on. User experience for this on mobile is still pretty bad. Playing with the demos above had plenty of unexpected behavior, such as not being able to scroll past some elements and jumping to seemingly arbitrary points. Where it does work, it’s kinda neat. Demos don’t work in Safari iOS 11.3. WebKit prefixes should fix this. @Brant No they don’t. Safari 11 should support it unprefixed. Older versions used prefixes. It looks like Safari just seems to support Scroll Snap, but it really doesn’t. I really couldn’t manage to make the demos work, couldn’t even be able to make an un-polyfilled demo to work. No problem in Chrome or desktop Safari. Thanks for writing this. With support finally coming to Chrome, it’s feasible that we can start using this now. I was hoping someone would write a blog post about how to achieve x-browser scroll-snap support and now it exists. It might feel differently on a mobile device, but trying out the demos on my laptop made me really mad. It doesn’t feel natural at all and I had trouble to navigate to the point I wanted. If would have such an experience on a live website, I wouldn’t visit that site ever again. So I guess your warning there is pretty important. If you mess with people’s scrolling, you should be a 100% sure about what your’re doing. Very interesting article though. The technology is very interresting, and when well applied, can be useful to the user. But so far, such scroll-jacking is a nightmare usability. You may apply, but never remove the control of the user. I was playing with the Example 4: Horizontal Full Screen in Codepen on Firefox 60.2.0esr and it works great, but when I paste all the code to a html file it no longer works. What else do you need?